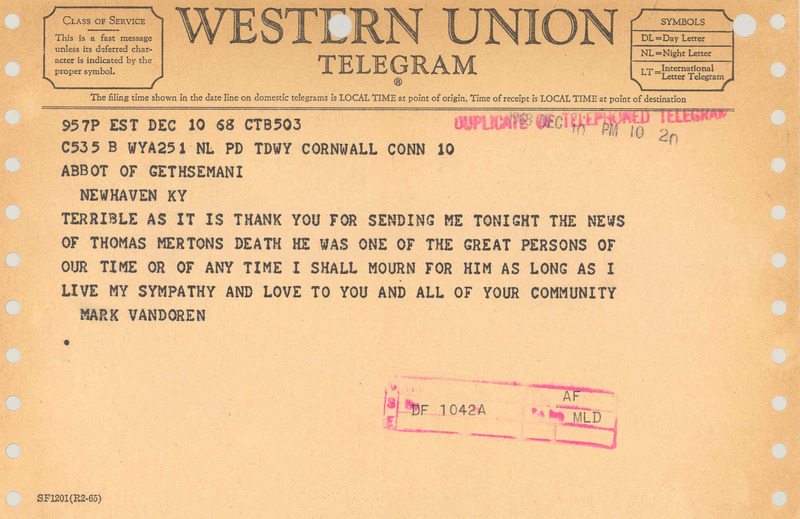 After Thomas Merton's death many friends and correspondents sent messages of condolence to his community at the Abbey of Gethsemani. 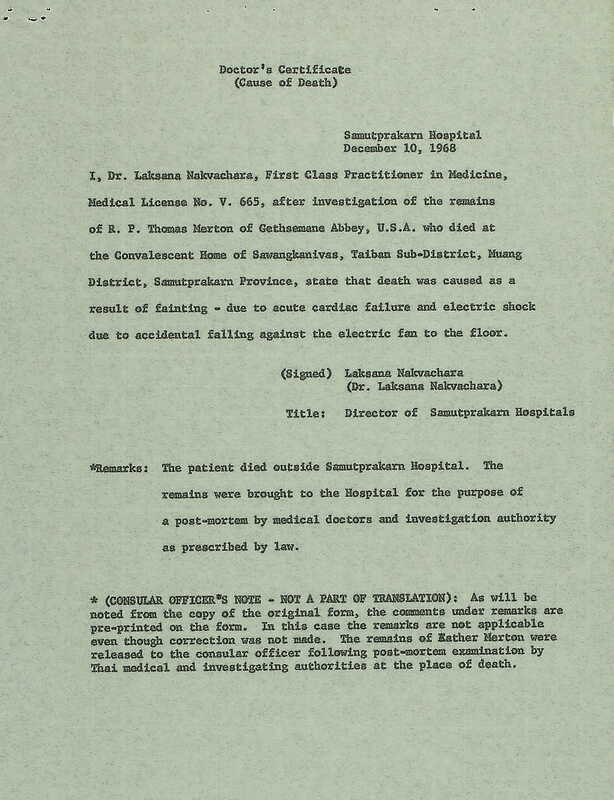 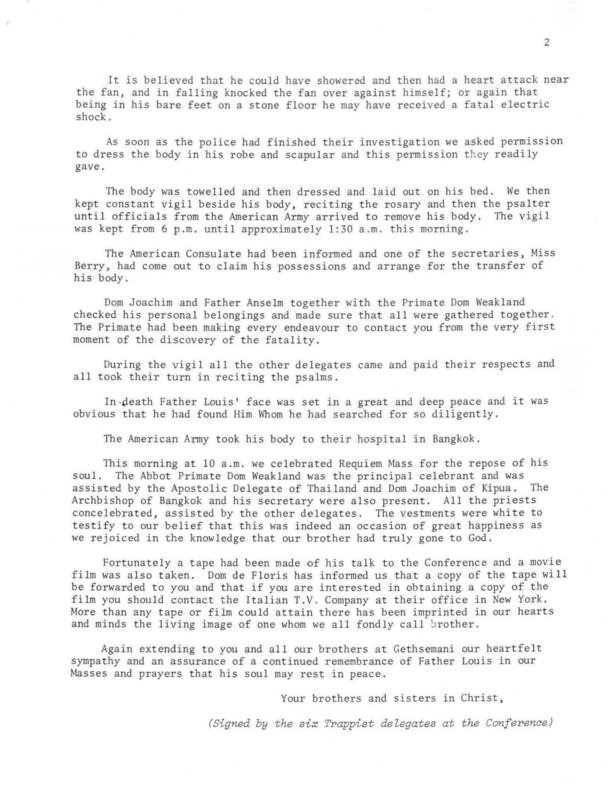 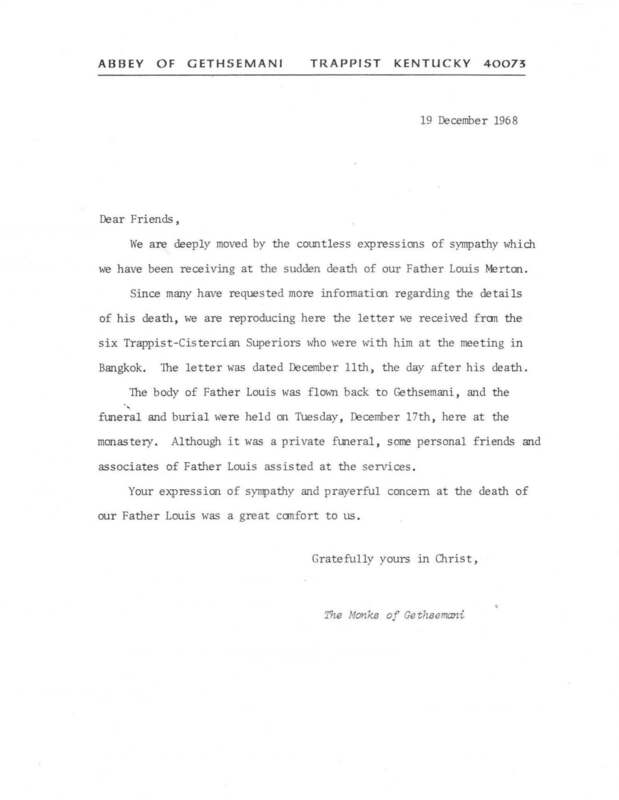 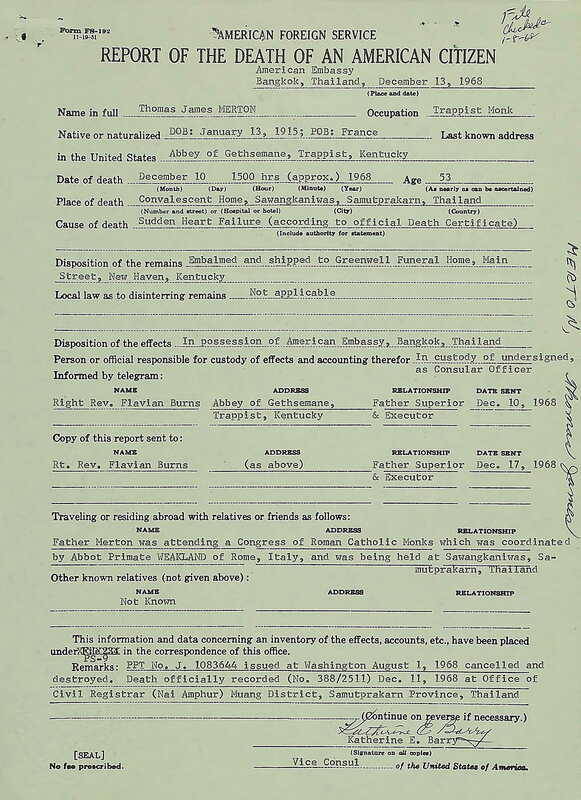 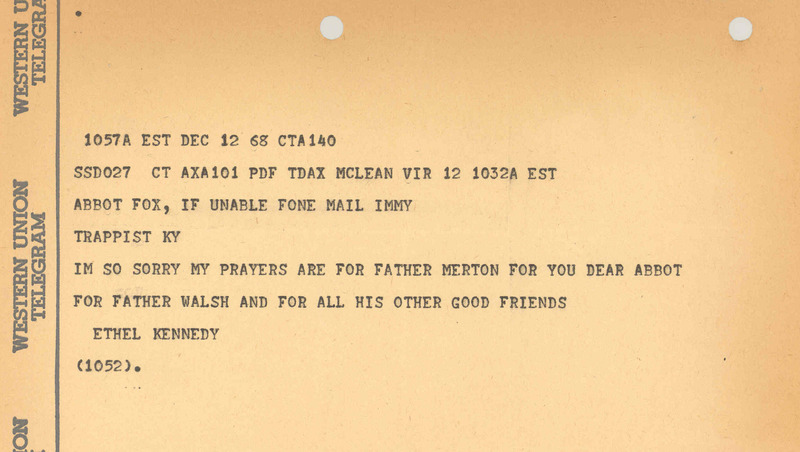 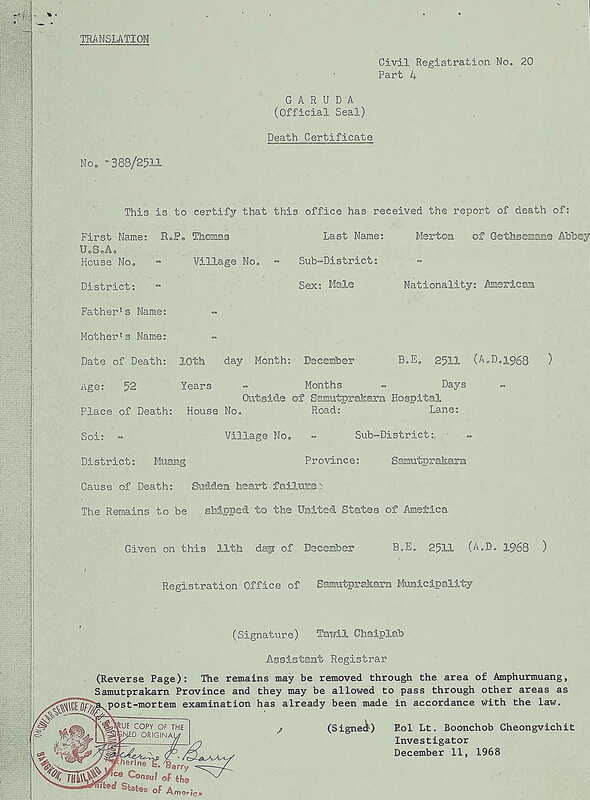 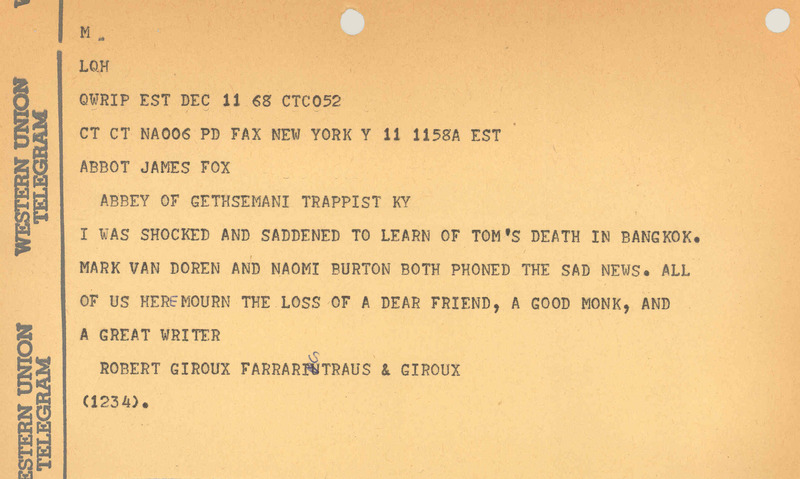 In response to the messages of condolence the community received a circular letter was mailed, accompanied by a mimeograph of the account of Merton's death sent to the Abbey by the Trappist delegates at the Bangkok conference. 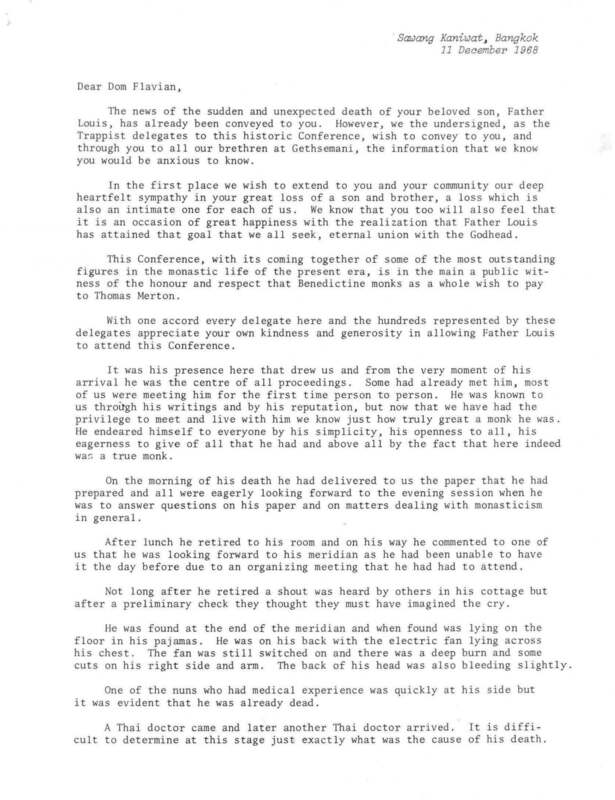 "In death Father Louis' face was set in a great and deep peace and it was obvious that he had found Him Whom he had searched for so diligently." 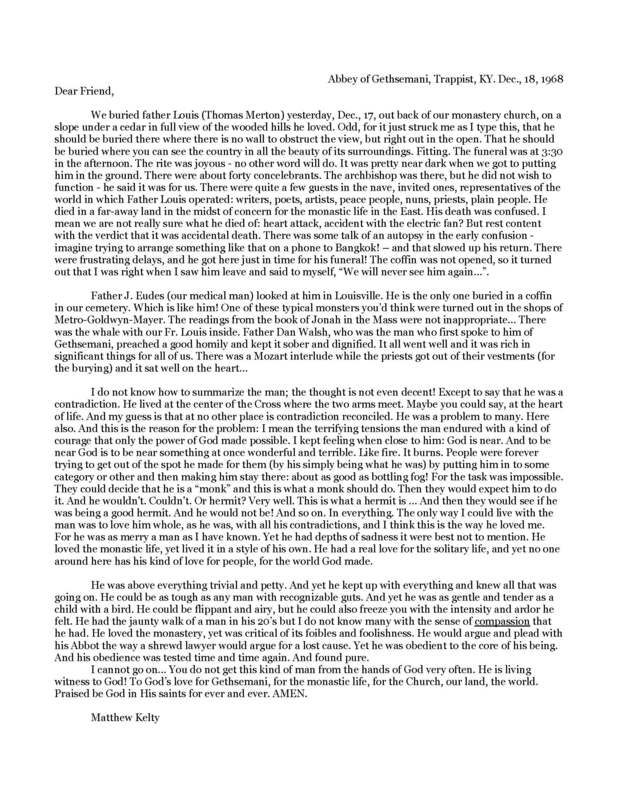 Circular Letter from Matthew Kelty, OCSO.